Perfectly sliced and ready for your imaginative talents to turn this into a beautiful pendant! 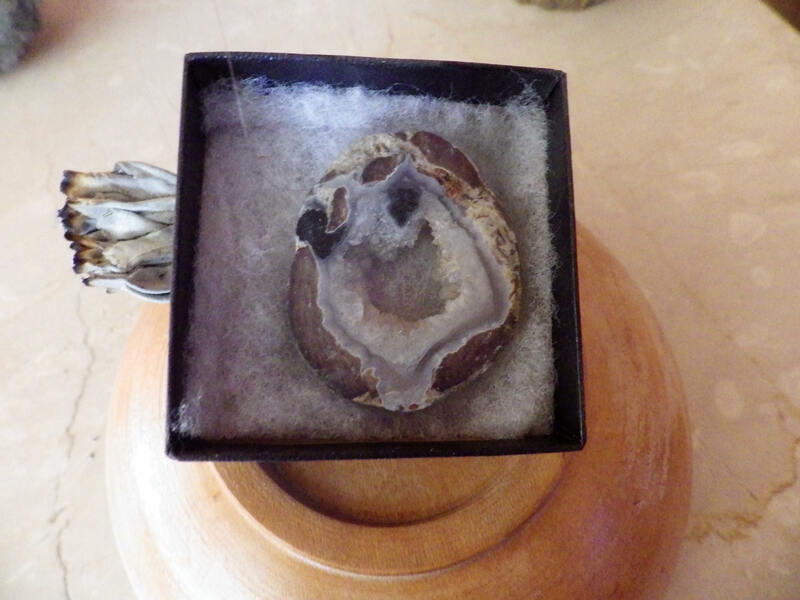 Chalcedony stones are talismans of trust. Use chalcedony when you need to develop patience, reconcile differences, or seek forgiveness. 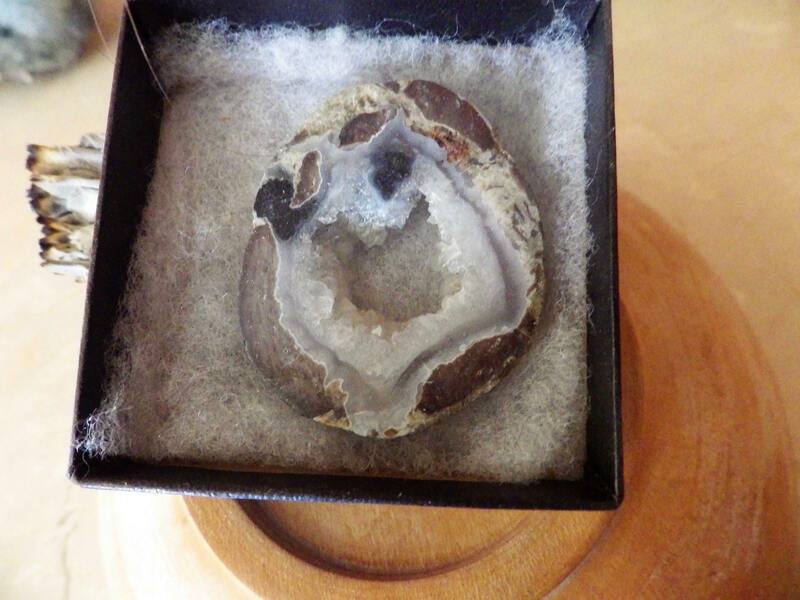 Chalcedony is excellent for recovery efforts from addictions or destructive behavior patterns. They aid in curbing tempers and helping us become mellower and milder. Their rays are potent, and they can help us to change our lives to become more dependable and cheerful. They are helpful in dealing with grief, letting go of the past, and curing guilt. 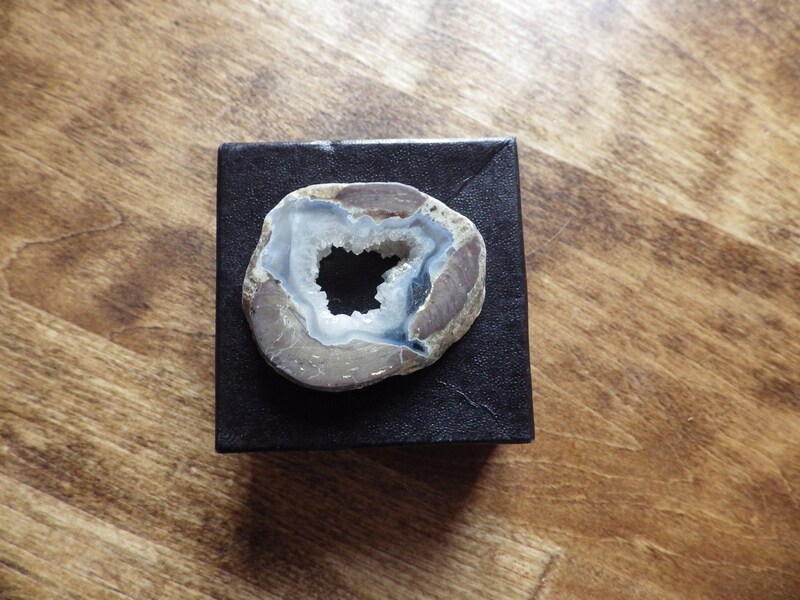 Chalcedony, Melody tells us in "Love is in the Earth", is a stone brotherhood, sacred to several tribes of Native Americans. It promotes benevolence and good will. Judy Hall in "The Crystal Bible" agrees and notes that it removes hostility and eases self doubt. 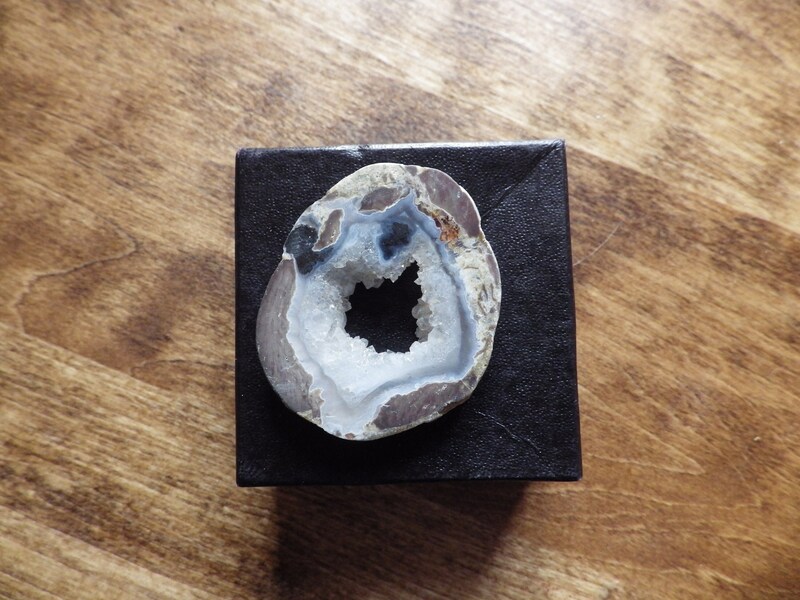 Robert Simmons notes in "The Book of Stones" that Chalcedony is a calming stone, useful for stimulating telepathy and all types of communications with the spirit world. 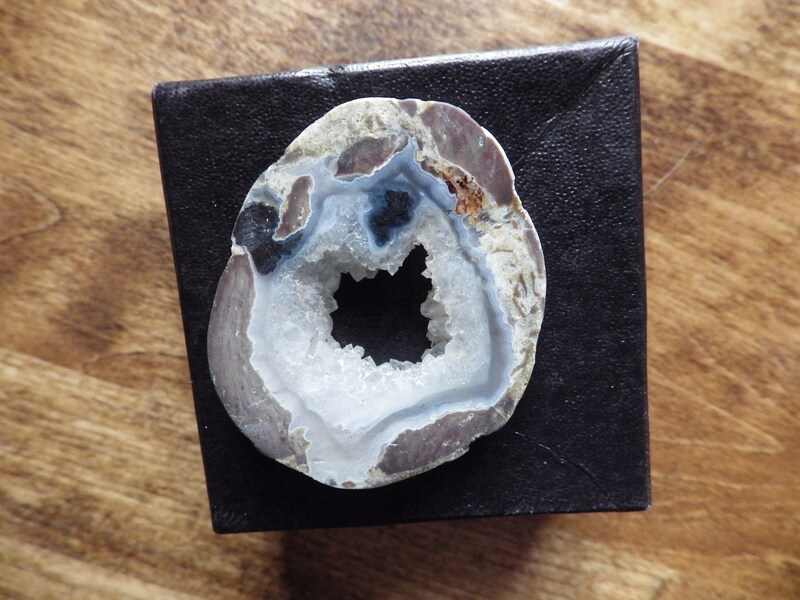 Naisha Ahsian in the same book finds Chalcedony is excellent for channelling work, and that it brings a calming effect in the presence of anger.